Do you know who Dr Sebi is, and why he may be the cause of Nipsey Hussle’s death? Many news outlets pointed out the fact that Nipsey Hussle was affiliated with gangs. However, Nipsey Hussle was not shy of working with opposite gang members as he did work with rappers like The Game. So how does this former gang member and rapper and have any affiliation with a man like Dr Sebi? Why is this so important? Dr. Sebi, born Alfredo Bowman was a world renowned vegetarian herbalist, healer, pathologist and biochemist. he was murdered in 2016. He had worked up a cure that would threaten the finances of multi-billionaires who pocketed from the death of people who suffered from diseases like AID’s, Cancer, and Diabetes. So what was he remedy? Dr Sebi lifestyle for cure focused on eliminating toxic foods. He claimed to have cured these diseases by removing meat, poultry, seafood, all processed or synthetic items, alcohol, sugar, fried food and iodized salt from diets, allowing the body to detoxify. He Replaced those foods with plain ripe fruit; nonstarchy vegetables, especially leafy greens; raw nuts and nut butters; and grains like quinoa, rye and kamut promotes the body’s natural healing properties. In 1988 Dr Sebi was forced to removes denounce advertising for the cure that he ran in the Amsterdam News. The headline was featured in The Village Voice and the New York Post noting that “AIDS has been cured.” Threatening a multi-billion dollar industry the New York State attorney general and New York City Department of Consumer Affairs told Dr. Sebi to remove the ads. Dr Sebi refused and was arrested. He was then charged with practicing medicine without a license, selling products not approved by the Food and Drug Administration, and fraudulently claiming that he could cure AIDS and other diseases. Dr Sebi worked with a few high profile clients including Michael Jackson, Lisa “Left Eye” Lopes, John Travolta and Eddie Murphy—to have a large amount of money on him. 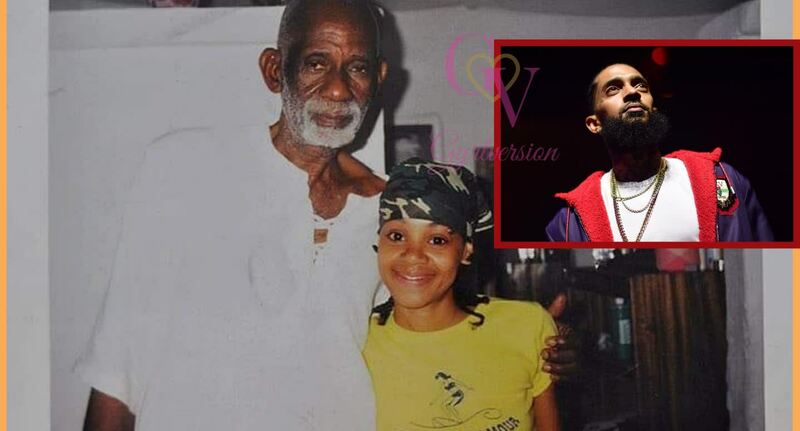 Lisa “Left Eye” had been concentrating and recording details from her experience and new found life, but was tragically killed in a car accident on her way back from visiting Dr Sebi in Honduras. Isn’t that ironc? On May 28, 2016, Dr. Sebi was arrested at Juan Manuel Gálvez International Airport in Honduras for carrying some $37,000 in cash. He was released pending a court hearing. He was arrested again on June 3 by the Ministerio Público, Honduras’ version of the FBI, and charged with money laundering. Dr. Sebi remained in custody until Aug. 6, when he was rushed to a local hospital reportedly suffering from complications of pneumonia. With access to his regimens Dr. Sebi died en route. He was 82. Nipsey Hussle was working on a documentary about the murder of Dr Sebi. How could the billionaire’s allow this documentary to leak. This documentary would awaken a new found understanding in humanism. Many would be open to the natural cures that Dr Sebi had revealed with attending these expensive Doctor visits, taking thousands of dollars of meds for cure, and rely on natural God given remedies. There would be a lot of prevalent people involved with losing money and their freedom due to this documentary. Do you really think they would allow this to go down?